Consult with our experts in the aerospace, automotive, energy, medical, pharmaceutical, food and beverage, textile, paper, packaging, metal forming and converting industries. Our high performance multi-axis and single axis motion control products excel in the most demanding applications including packaging, converting, labeling, web and material handling, as well as general assembly and winding. 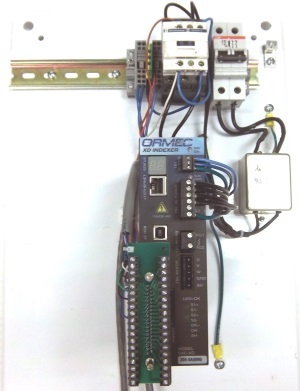 Our motion control systems integrate motion controllers, logic control, servo drives, servo motors, linear motors, actuators, HMIs and I/O into cost-effective factory automation solutions. The SMLC motion controller, offers CoDeSys IEC 61131-3 programming, PLCopen motion function blocks, industrial Ethernet network solutions and FireWire-based drive networking. Partner with ORMEC, an ISO 9001:2015 certified company, for your total system solution. Our motion control specialists are available to assist you. Quick, reliable repairs and service for your ORMEC equipment. Indexer kits include drive, motor, cables and all of the parts you need for your indexing application! Easy to select! Save time and money! View product overviews and learn new motion control techniques.